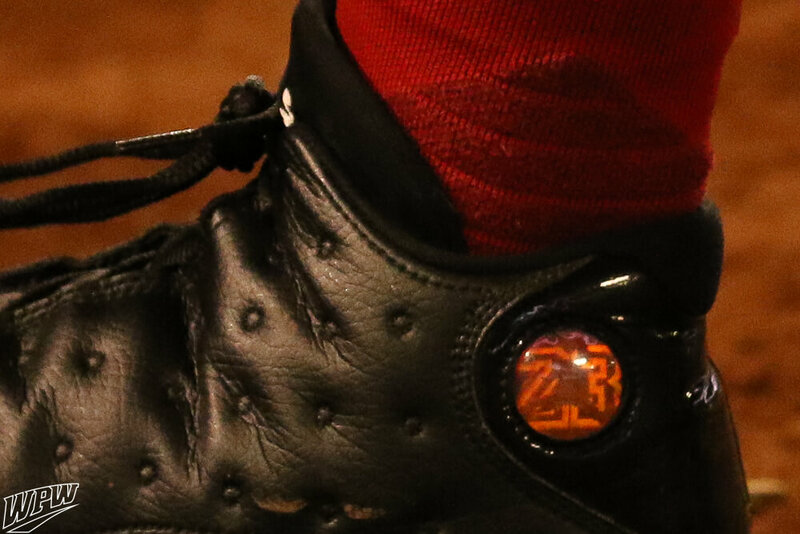 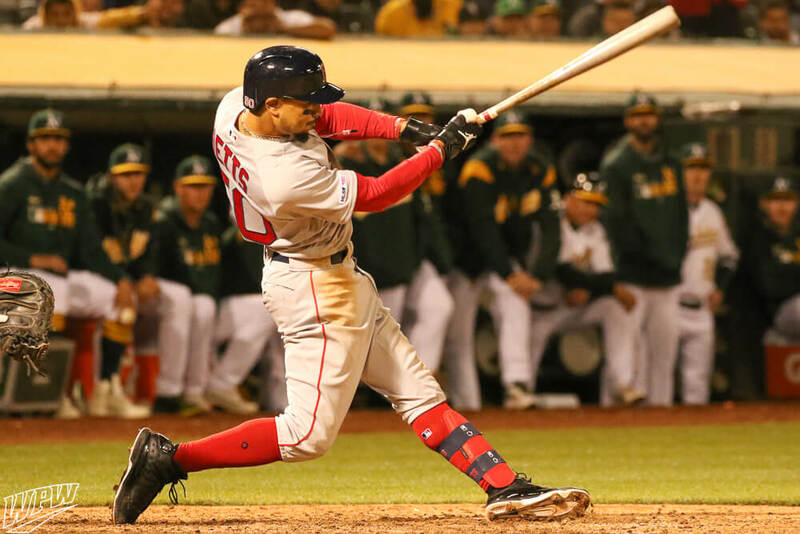 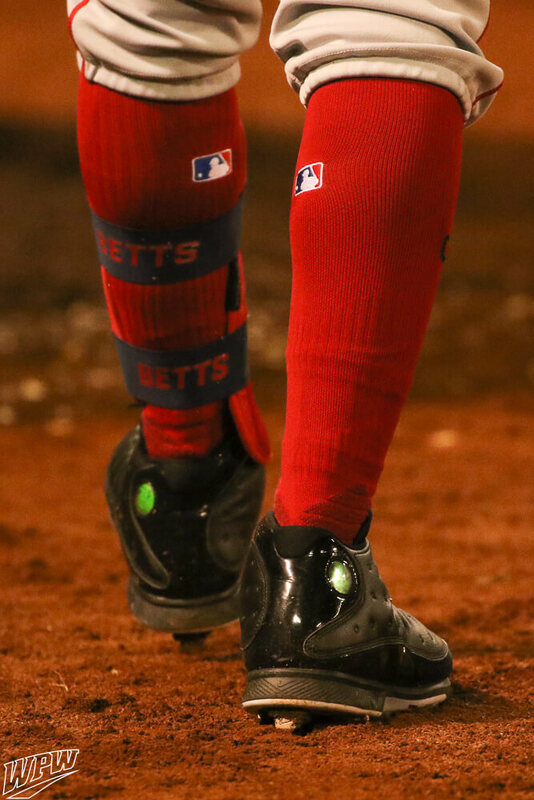 Mookie Betts is wearing Jordan 13 cleats in 2019, along with the rest of MLB’s Jumpman athletes. 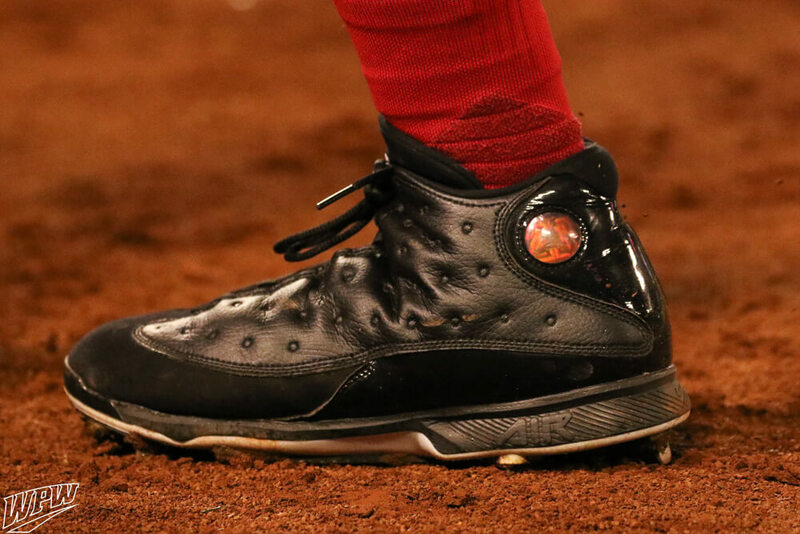 Betts is wearing all black 13s lately, which are available at the link in metal and molded. 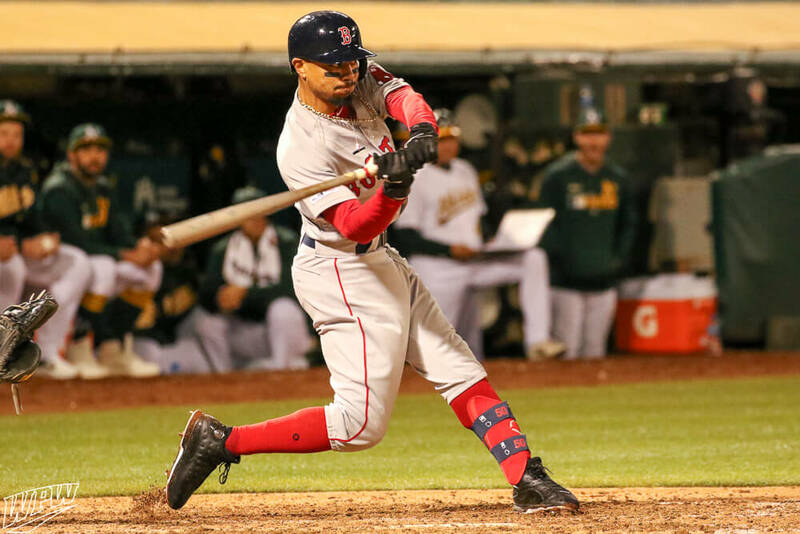 You can expect to see some player exclusive colorways along the way, but its cool that Mookie is wearing a color that we can all wear (while supplies last).